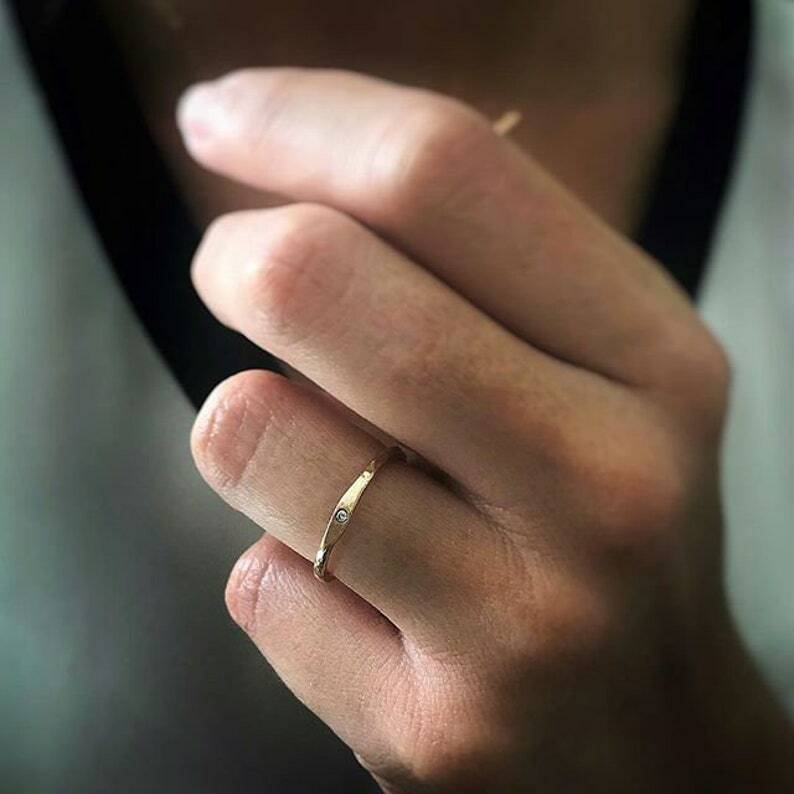 This prettiest single diamond ring in 14k Solid gold is very dainty and chic for your special occasion, engagement, promise, wedding or just favorite a simple ring. Please in your checkout write your style hammered selection. All items are made to order. Please check the our policies page, our time to works 1 week in business days or for the update production and delivery times please check the top on the announcement page. If you need it sooner, please send us a message on Etsy.